Heeft u een vraag voor First and New Star Hotel? First and New Star Hotel in Pudu, Kuala Lumpur is een populaire keuze onder reizigers. Gelegen op 2.1 km van het hart van de stad, bevindt dit 2-sterren hotel zich op een excellente locatie met de grootste attracties binnen handbereik. Een plezierige omgeving en de nabijheid van Yh Wong, VIVA Home, Pudu Markt verschaffen dit hotel een bijzondere charme. Het First and New Star Hotel biedt gasten superieure dienstverlening plus een breed scala aan voorzieningen en is toegewijd om uw verblijf zo comfortabel als mogelijk te maken. Het hotel heeft een uitgebreid aanbod aan services, inclusief gratis wi-fi in alle kamers, 24-uur receptie, wi-fi in openbare ruimtes, parkeerplaats, familiekamer. De ambiance van het First and New Star Hotel weerspiegelt zich in de inrichting van de kamers. plasma tv, extra badkamer, spiegel, handdoeken, aparte woonkamer zijn slechts enkele van de faciliteiten die u ter beschikking staan. Daarnaast garanderen de talrijke recreatieve mogelijkheden dat u zich tijdens uw verblijf kunt vermaken in het hotel. Wat de reden van uw bezoek ook is, het First and New Star Hotel is een uitstekende keuze voor uw verblijf in Kuala Lumpur. Een ledikant is niet beschikbaar bij deze accommodatie. Extra bedden zijn niet beschikbaar bij deze accommodatie. When Agoda offer cheaper price than hotel normal tariff... Management refuse to accept our booking especially when pay at hotel. Management cancelled our booking from Agoda and ask to book as walk in customer. AGODA...PLS LOOK THIS MATTER. WHEN PAY AT HOTEL...SURE WILL BE PROBLEM. NOT ONLY THIS HOTEL. MOST OF THEM DOIN LIKE THIS. My wife and I were staying in this hotel for a week. On the first night we faced with incredible LOUD music coming from the outside night club. It was VERY LOUD until 5 am. It was SO LOUD that it definitely impossible to sleep. That night at 3 am we came up to the reception and asked to help us and change on another room. The man told that he couldnt do anything. What is he doing there? Next day during 4 hours we spent on changing room. I'm not kidding. 4 HOURS on changing room. I had to talk to the receptionist and to the owner. I had to write the reason, than I had to write again why and what I was asking for. Unbelievable. But the changed room solved a little the problem with music. This is the AWFULEST hotel I ever been to. Definitely. It's second time I stay here (both times in room #501: small single-room, but have all you need). It's an easy 10 min. walk from the LRT-station. The lobby look worn down, but the room is good - with a fridge in the room it would score full in facilities too. There's a restaurant just in front of the hotel (Indian food I believe) - I didn't try the restaurant, since the room have a water heater, so you can prepare simple meals in your room for shorter stays. The water-pressure in the shower wasn't the best in 5th floor, but it did the trick! I Stayed Here for 4 Days With My Friend On a Visit, When I Arrived at Hotel Time Was 09AM But There check In Time is 12PM, But That Sri lankan Manager Gave Me a Room. The Room Was Superb, Very Clean and Speed Wifi Provided. All The Working Staffs are So Awesome and Helpful. Hotel Is Near to Chan Sow Lin Station, So Going Around KL is Very Easy. I Suggest This Hotel For Anyone Who Want to Stay in KL for Couple of Days, And My Special Thanks For The Srilankan Staff. Check in at 11.40am need to pay extra which I dont mind. It cost me at rm10 per hour before 2pm. Room has no TV. Sigh. Reception is old women, eventhough she old, but in hotel industry she has to greet or atleast smile. Linen and bedsheet got stain, lift is dirty. You may get another hotel with same price. This one terrible. No tv. Water pressure is very low. Corridors not clean.. The place is very accessible via MRT all the way to KL, budget friendly but no TV. The CR must need to tidy. 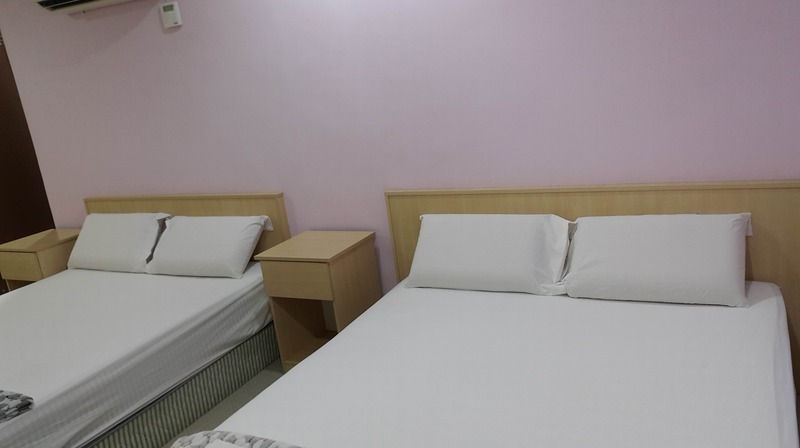 This hotel is located just few meters away from Chan Sow Lin station which is right in the middle of the whole KL. My only problem was they didn't have kitchen. What's also nice is that the hotel is surrounded by a couple of convenience stores that are open 24 hours. The place is very near an LRT stop and it's very easy to get to KL sentral as well as the main bus terminal. The food nearby is great if you like local food carts and restaurants. There are also a few clubs nearby too for night life. The room I stayed in was small, but it wasn't like one of those places that can only fit a bed. Hotel is located very nice place to go around the city by MRT. (Only around 150m to MRT station nearby) WIFI connection is also pretty good. Some facilities such as cleanness, intraction with the guest etc should be more developed. Overall It's value for your money. 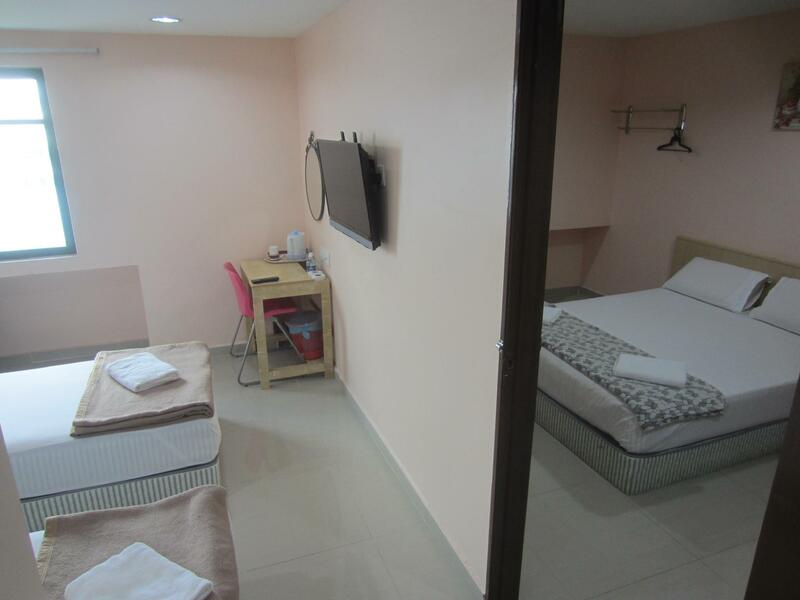 Hotel is located at Chan Show Lin City where very close to Chan Show Lin LRT station. That was pretty convenient for me to travel every day with heavy shopping stuff during my stay there. 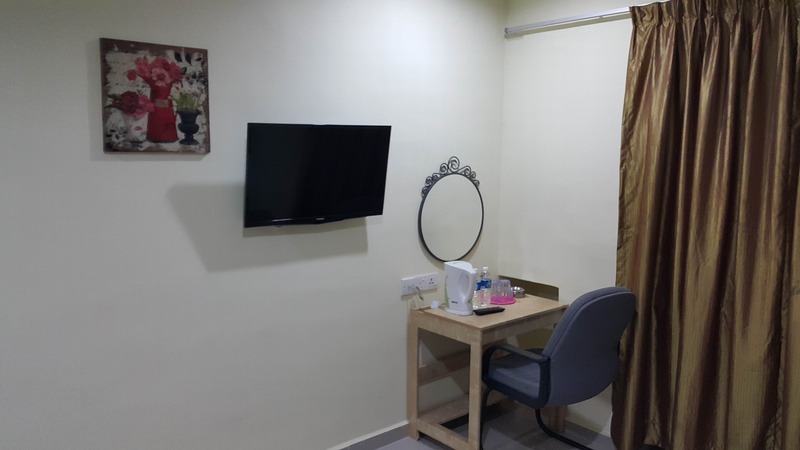 Rooms with basic facilities are also really good and clean. Staff is also helpful besides there low interaction with the guests. I stay 7 days in the hotel. 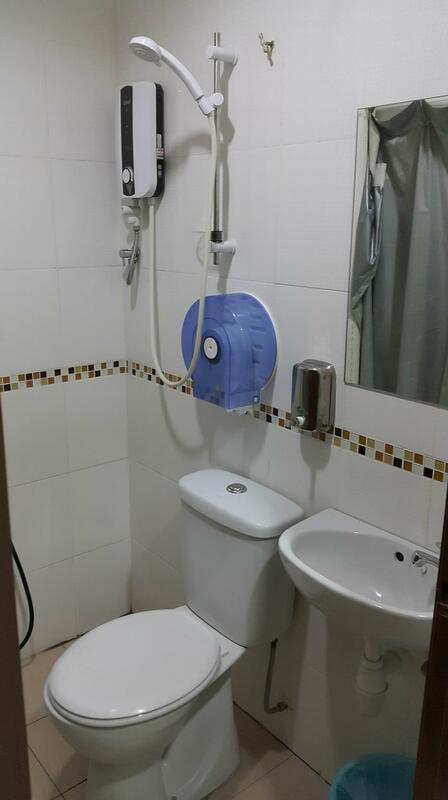 Pros: cheap, near to LRT station, 7-Eleven, club, kopitiam and restaurants. Cons: can see cockroaches very often, no free filter water, hanger rack unattached from wall, old facilities, no sound insulation and hear conversation very clearly when door is closed, noise from club and pub at night, very poor phone reception in room, unstable WiFi, only 1 room card, a bit dirty, no room service at all, management disable your room card before stated check-out time (12pm), no free parking at downstairs (you can park at roadside or behind hotel for free, at your own risk). Booked from Nov 23 to Dec 5, 2016, overall good for the price. 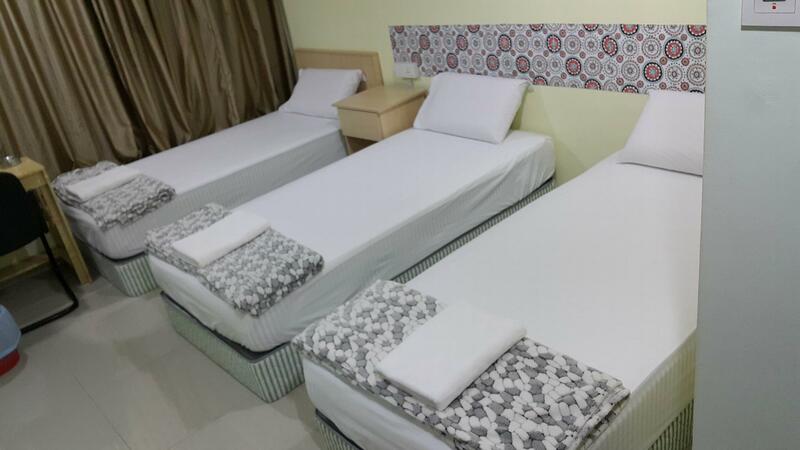 Queen bed , heated shower and air-conditioning for super low price, booked for 2. But...... there is a TV and no satellite, so 2 fuzzy channels with Malay language only. Internet is good enough for me .... but, the internet cuts out quite often and twice for long periods of time... I think the router needs resetting and asked at the desk the first time with a quick and friendly response... and yes it came back up rather quickly. Internet is out again day 10 for 2 hours now ... will check at the desk again ;) Again happy response, give it 15 and see if its up and running. BAM, up again after a short wait..(awesome friendly staff) For you backpackers, this hotel is much better than hostels and the best price for the money I have seen in KL. 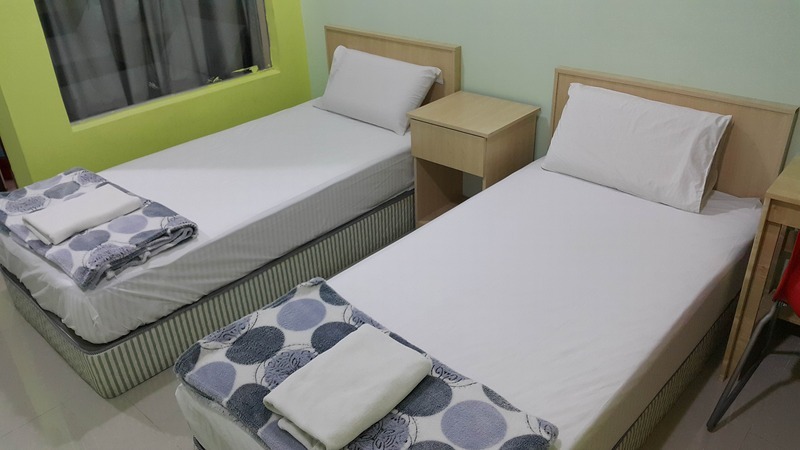 It is close to Bukit Bintang, (nightlife) downtown shopping and the famed towers. The rooms are nice enough and better than some I have seen in Canada at 8 times the price. If you are a budget conscious traveller, this is your best place to go. Better to book online as online prices are much better. Prepaid credit cards will work if you don't use credit cards. My favorite place to stay when in KL. Hotel staff was very friendly and helpful. Room was comfortable and clean. Eating place just next to hotel and plenty more within walking distance. Public transport is also within walking distance. 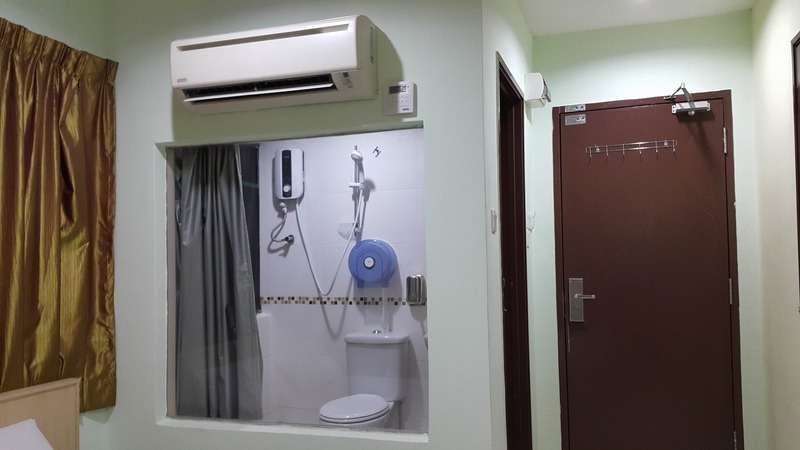 This hotel is located a little far from the most popular Kuala Lumpur places but the metro is just a 5 min walk so everything is still easy to get to. The room and bathroom was clean and there are a few restaurants close by. Overall a good experience and wifi was good. 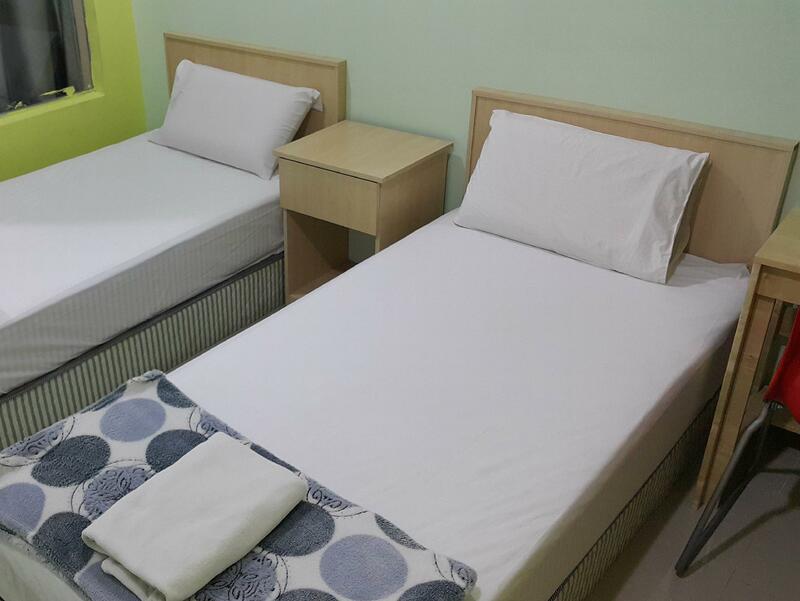 The hotel is located in a business area which is slightly far from central areas of KL for any other activities. If you have a car, it is in a reasonably convenient place. It's cheap. Don't expect too much, but you get what you paid for.